We’ve not blogged on this site in ages, apologies we’ve just been really busy. For any of you following me on Twitter @seotwentyone you’ll have seen we’ve been reporting a few bugs with Google Places. This is an on going issue, I have spoken to several bods at Google, who said they are aware and trying to fix it. We do not currently support this location – It’s back! Google Places listings owners may be seeing the following error this morning ‘We do not currently support this location’. It comes after another glitch was reported by thousands of business owners when their listings dropped over night. We’ve seen this glitch before and it won’t be the last time. Google is always working behind the scenes and when they make a change it usually means the data set is moved at least temporarily. It usually sorts itself out or you can try and press edit on your Google Places listing and Submit to ping the listing. This rarely works immediately these days but in the meantime until we or Google find a fix hang tight, stay tuned and we’ll get more information across as soon as we have it. 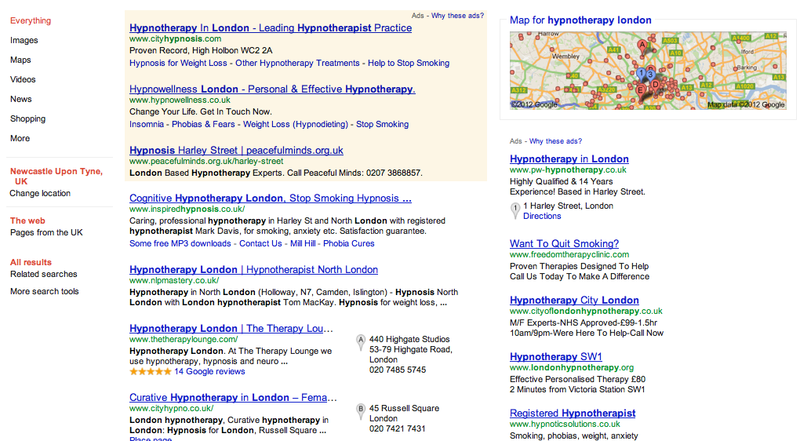 Another client goes straight in at position A for their primary chosen keyword phrase ‘Hypnotherapy London’. How would you like to see your business at the top spot? 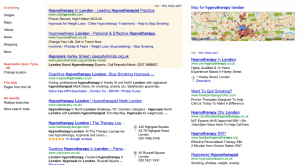 The Therapy Lounge weren’t even listed on Google Places first page and we’ve taken them straight to the top position for ‘Hypnotherapy London’. I hope they have an army manning their phones! Did your Google Places listing drop from Position A? Hot news guys no one seems to be really aware of this problem yet but you should be as it could affect every single one of you. My Google Places listing disappeared from Position A? We got a call from our client who is currently position A for ‘chiropractors Leeds’ his listing has dropped overnight off the first page. My first thoughts were ‘oh Google you silly bot’ and then normally followed by destroying my keyboard. But instead I kept calm because I have seen this problem before. This time it only seems to affect position A results for some reason, why I don’t know. Maybe the search feature is going to change and position Google Places results might have more of a feature that’s my guess. Or someone at Google spilt their coffee on a server. 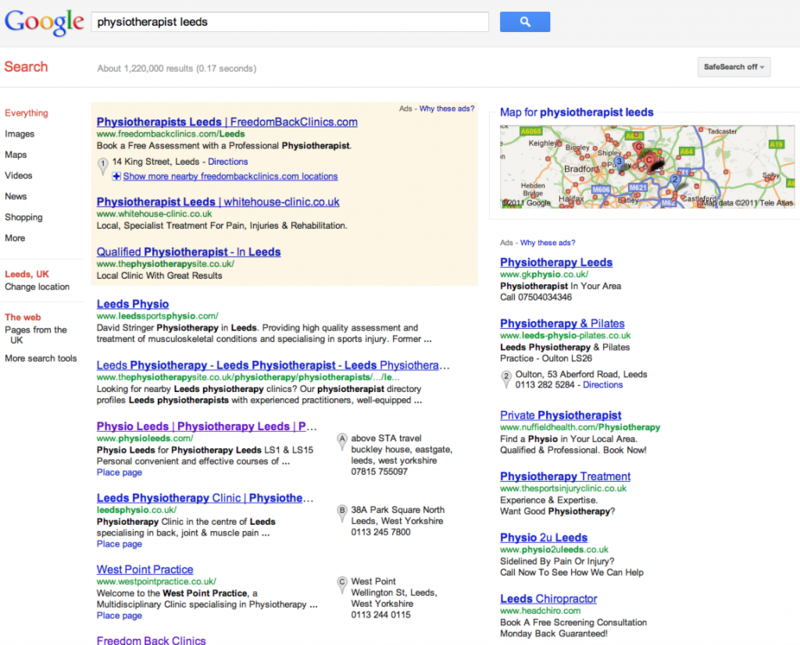 What to do if your Google Places listing has dropped overnight off the first page! See if you can still find your listing active on Google. If you can that’s a good start. If not could be the other glitch we posted previously but no matter our fix will cure both. Click ‘fix incorrect marker location’ then zoom right in and move 1mm so it’s still on the same building. The copy and paste the business name back in so delete and paste back in, do the same for website and description. Now if you can see the places listing stats go in to there and write a post in the right hand column. This process might have to be done twice to fix. This is a very easily resolved issue for Google Places glitches and bugs and cures most things. It wont get rankings from nothing but any bugs it seems to clear out 99% of the time. We have had to do this for 4 clients this morning who were all back before we even got time to call them. 30 seconds approximately. If this article has helped you please be kind and talk about it, TWEET, Tag, Google+ share with the world. 2 position A results in 48 hours! Sometimes it’s cool to be a smug! And today my friends is one of them. We just posted about our new friends at Headingley Chiropractic Clinic going to position A for ‘Chiropractors Leeds’ in under 24 hours. That’s gotta be getting some emotions stirring for everyone who is struggling with their Google Places optimization. One of our oldest standing clients ‘Physio Leeds’ has just made a comeback after a short drop off to position A. The drop happened when someone (probably another competitor) reported his business as permanently closed. We reported on this nasty glitch a few posts back. Simon Glover the director called us to renew his service and we fixed this problem in just over a week and got him to position A in 2 days for ‘Physio Leeds’. So that mean’s we have the two top spots for ‘physio Leeds’ and ‘Chiropractors Leeds’ for 2 individual clients. Sorry folks are doors are closed to those keywords and towns but we can help any other type of business in Leeds and many more Chiropractors and Physiotherapists across the UK and US. We recently signed up some old friends we used to work with many years ago for some Google Places optimization. Their listing was being held by some rogue at a digital marketing agency, and they told our client they had optimized their Google Places listing which wasn’t true. 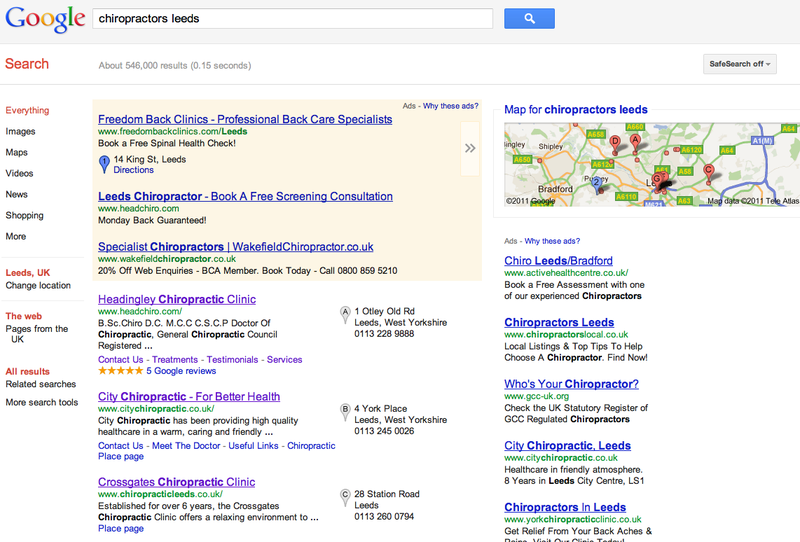 We managed to get their listing back in our clients account and in just 24 hours it’s soared up to the very top of the search results – position for ‘Chiropractors Leeds’. As we are originally from Yorkshire and one of our very first clients was a physiotherapist we knew the local competition and another clinic had been reigning high for at least 5 years. 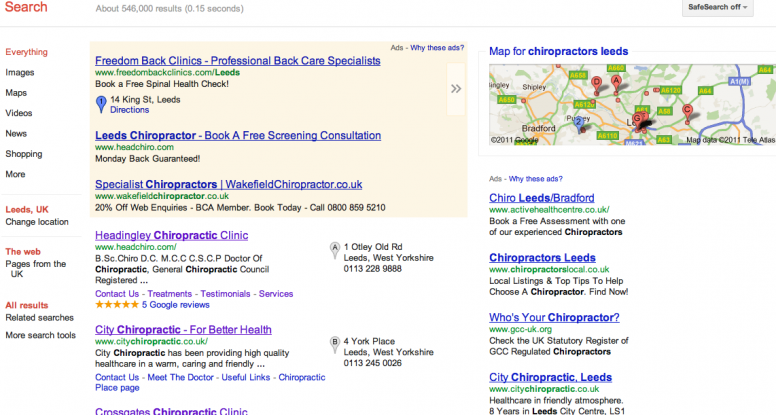 Unfortunately for them their days as top dog are over and Headingley Chiropractic Clinic are position A (number 1) for ‘Chiropractors Leeds’. And all in under 24 hours. There’s no mistaking the proof! Nothing quite makes our day any better than when we get to ring and tell our clients personally over the phone ‘you just took position A’. 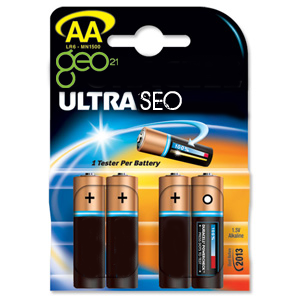 GEO21 are considered by our loyal following of customers the World’s leading Google Places SEO professionals. We are responsible for more than 5,000 first page Google Places results and have helped hundreds of small businesses across the globe. Originally launched as a feature on the Google search to help you find directions, and how to find a local business, Google Maps quickly became popular amongst online users as it offered a simple way to find a local business in your area. The good, confusing and just plain evil! Yep! If you’ve ever tried to get your business found on Google Places then you’ve encountered the Google Local Business Centre. We love Google we really do but I am sure you too have been baffled by the wonder that is LBC. 4.) Add in all your business details including name, address, telephone number, website, email, business description and categories you want to be found under. 5.) Google Local Business Centre will then ask you if you meant one of the businesses provided is yours or you would like to create a new business listing for Google Maps local results. 6.) Choose your weapon and press NEXT! This can be a very simple process but also a little more complicated on the right occasion. Don’t worry – we’ll explain how to avoid getting your knickers in a twist and getting your business registered free on Google Maps. a.) Telephone call – This is where a friendly robot voice [similar to that of Microsoft sam but with a little more estrogen] calls you and gives you a 5 digit PIN number to enter in to your local business account. – EASY PEASY! Update: This service is only every occasionally offered as an option when the address & phone number has never been used on Google Places. b.) SMS Verification – Google Local Maps will actually send you an SMS text message to your mobile and then once again you enter in to your local business centre account. Update: This option is used more often if you have a clean account with no errors, black hat techniques to verify an address change or telephone number change. We have not seen this option available for over 4 months. c.) Postcard – Yep! Ah good old postie even he is up for a bit of Google Places help it seems. This is the new standard to verify a Google Places listing. 99% of all listings must verify their business through this method. Usually arriving in 3 weeks or less but we have seen cases of 6 weeks. Just spend 6 years working day & night researching how Google Places works and then you’ll have a good chance to be top of the local Google map results too! Seriously! There’s no way we are going to give away our secrets but we will get your business to the top of Google Places/Maps if you want. Just give us a call or drop us an email telling us a bit about your business and where and what you wish to be found for locally and we’ll make it happen. Until the beginning of October 2009 there was no set time involved but then Google Maps changed. Not like you’ve heard so many times before on the billions of forums out there with every geek and his hamster claiming to know. It really did change and boy did it go loco for a bit. It’s okay we were a bit scared too! Google Places/Maps has been pretty stable and one engine for almost 3 years. Yes! there has been a few changes but it was pretty much the original engine it was when it was first launched. So back in early October Google Places seemed to move to a new set of rules and thousands upon thousands of businesses that were previously on the 1st page suddenly disappeared over night. Why did Google Maps Change in 2009? This information is only based on our own personal findings and experience but we think it is pretty close the truth. 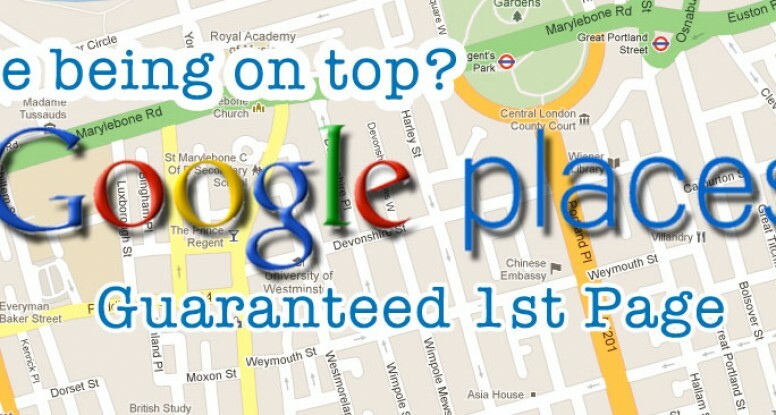 GET YOUR BUSINESS TO THE TOP OF GOOGLE PLACES! Whilst amending a customers Google Places listing address and expecting the usual ‘you will be sent a postcard within the next 2-3 weeks’ response instead the listing completed and the new address went live within 3 minutes. No further Google Places optimization required either! So what does this mean for Google Places security? I for one thing although yes it makes things a lot simpler to make legitimate changes to your Google Places listings it does also open the doors for those who dabble in the black-hat to abuse this update and make changes to addresses that they do not own or have access to. We will probably test a listing this week and see what happens if we can change our address to a public landmark without the need of additional verification. What can we expect to see with this loophole? Probably a whole lot of spamming from those dirty rodents who are hell bent on turning Google Places in to one big nasty dump of illegal listings and spam. Why would Google miss this and leave it open to abuse? Hmmm! I guess they are human after all, if only just a bit geeky. Maybe they missed this one? After the recent issues with many businesses being reported as ‘permanently closed’ this could be another huge flaw. I am sure this will be fixed quite quickly as it will get abused unfortunately. Watch out guys this could leave your competitors to proactively target your location without the need of postcard verification. Be great to hear your thoughts on this one guys and any experiences you’ve had with this recent Google Places glitch. Hey guys please excuse any poor spelling or grammar on this post we’ve had to write it fast to make sure you all hear about it. Did Wednesday mornings Google Places update leave your business listing without a website url? If your places results showed as merged with the organic results in the new layout did they drop? How to get my URL showing on my Google Map Listing – FIX! This is one of the easiest Google Places fixes we’ve ever published but you guys need to make sure your Google Places listings all have the http:// extension as without it Google cannot always show your URL and will drop your rankings. This past 3 months has been crazy – we’ve had to up our work rate considerably to handle the sheer volume of calls and emails from people looking to get their businesses found on Google Places. The fairest way to operate our much sought after Google Maps optimisation service is to work on a strictly first come first served basis. Today we signed up 2 more companies who want to be found on Google Places but we’ve also had to turn down another because we already have someone optimized in their area. Sorry guys but they just beat you to it. Don’t lose out on being the top dog! Get in touch tell us what your business does, even if you’re not 100% sure on the best keywords for your business we’ll help you out there. note: Google Keyword Tool is free and can help you find the best searches for your business. Give us up to 5 keywords of your choice and we’ll get you on the first page, and aiming for the number one spot in no time. GET YOUR BUSINESS TO THE TOP! Last updated by Tom Peary at August 26, 2011 . 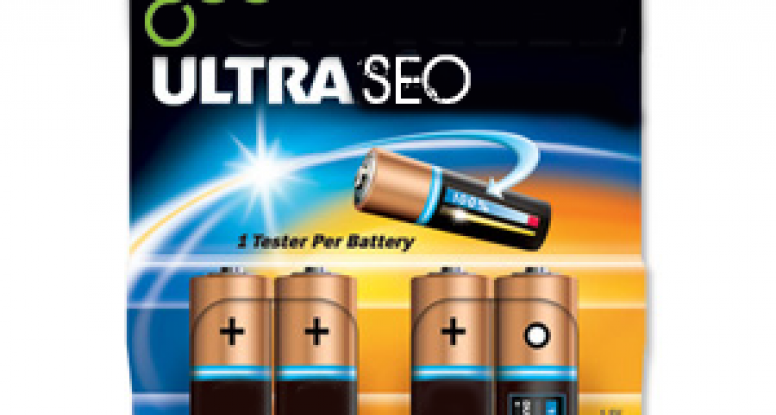 "It is this simple, GEO21's Google Places SEO delivers every time without fail. I have now been working with them for 3 years now and my business continues to go through the roof year-in, year-out due to their level of service and professionalism"
GEO21, made my business go from nothing to being found 4 or 5 times on the first page of google and position A on Google Places. They really have done what they said. Without a doubt they know their search engines, and have recommended them to other business I know. "GEO21, made my business go from nothing to being found 4 or 5 times on the first page of google and position A for 'Plumbers Leicester' on Google Places. They really have done what they said. Without a doubt they know their search engines, and have recommended them to other business I know.